Maybe you are not a fan of Italian Chianti Classico, Amarone or Prosecco? There are other regions of Italy such as Abruzzo, Emilia-Romagna, and Piedmont that offer wonderful wines. Piedmont in particular is well known for the Nebbiolo grape, which could be known as Italy’s heartbreak grape as the region is prone to fog (known as Nebbia in Italian) and takes the longest to mature, which is always a risk for wineries. This grape is known for having strong tannins, so depending on the fermentation method undertaken, it can require many years of bottle aging before the tannins soften sufficiently to be enjoyed, but the wait rewards you with its aromas and flavours of violets, tar, cherries, raspberries and more. 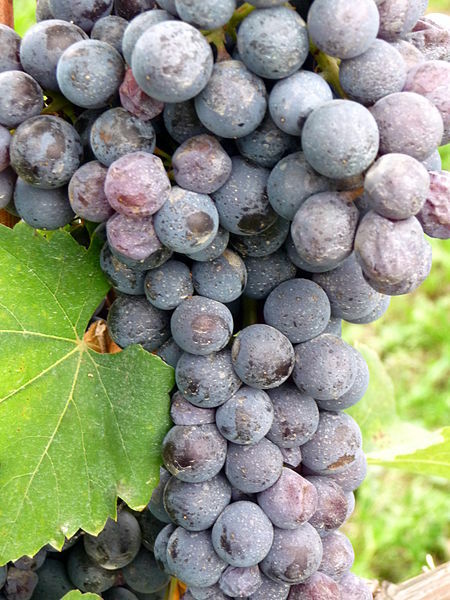 Nebbiolo is used to produce the well-known Barbaresco and Barolo wines. According to Wikipedia “…Barbaresco is considered the lighter of the two and has less stringent DOCG regulations, with the normale bottlings requiring only 9 months in oak and 21 months of total aging and the riserva bottlings requiring 45 total months of aging. In contrast the Barolo DOCG requires 1 year in oak and 3 years total aging for normale bottlings and 57 months total aging for riserva… ” Go for the Barbaresco if you want to enjoy the wine now, and buy some bottles of Barolo to cellar and enjoy in several years. Another grape you may want to look for from Piedmont is Barbera, which has low tannins, and can have tasty fruit flavours of raspberries and blackberries. These wines all have local BC wine representation, so try checking the BC Liquor stores, or private wine shops if one or more peak your interest. Cantina Zaccagnini San Clemente Montepuliciano d’Abruzzo DOC Terre di Casauria Riserva 2010, Abruzzo – Wow, that one is a mouthful, figuratively, and from the glass. This wine is made from the Montepulciano d’Abruzzo grape, and has a nice dark fruit and coffee nose. Fuller bodied, dry and round, with medium tannins. Ripe cherries and dark fruit flavours, with a bit of bitterness on the finish. Umani Ronchi Cumaro Rosso Conero Riserva DOCG 2010, Marche – Ripe, juicy red fruit nose. Medium plus body, dry with firm tannins. Red cherries, flowers and oak on the palate. Batasiolo Barolo DOCG Boscareto 2009, Piedmont – Light chocolate and plum aromas in the glass. Medium plus body, finer tannins, and higher acidity. Starts with red cherries and adds apples on the palate. Casetta Barbera d’Alba-Barilin 2008, Piedmont – Nice, bright cherry and vanilla aromas. Medium body, dry with red cherries, a hint of spice and light oak treatment. An elegant wine. Tenuta Olim Bauda Barbera d’Asti DOCG Superiore Le Rocchette 2013, Piedmont – Nice, woody, dark cherry nose. Dry, fuller bodied, with flavours of ripe cherries and raspberries. Soft and round mouth feel. Pio Cesare Barbaresco Classico 2011, Piedmont – Cherries, cassis and vanilla on the nose. Medium body, dry, with bright purple fruit flavours. Medium tannins. Tormaresca Masseria Maime Negroamaro 2012, Puglia – Ripe dark raspberry nose. Full body, dry and silky on the palate, with flavours of plums and raspberries. Tasty. Argiolas Costera Cannonau di Sardegna DOC 2013, Sardinia – Did you know that Cannonau is the local Italian name for the Grenache grape? This wine had aromas of crushed raspberries and a hint of earthiness. Dry, fuller bodied with fine tannins. Silky. Light red fruit and vanilla flavours. Braida di Bologna Giacomo Montebruna Barbera d’Asti 2013, Piedmont – Nice nutmeg and red fruit nose. Full body, round and soft with juicy red cherries, spice and nutmeg. Very tasty. If you are curious about a dry, sparkling red wine, called Lambrusco, please read my article on the wines of Cleto Chiarli on MyVanCity. Should be a nice pairing with holiday turkey and ham.